A Container With a Few Customizations Could be JUST What You’re Looking For! Shipping containers are so versatile and functional that you can use them for practically anything, ranging from storage to housing! They have only become more popular with new trends like shipping container bars, shopping outlets, and even homes. In fact, the use of cargo containers for self-storage has been around for many years now. The fact that real estate is becoming costlier with time means that these alternative dwellings are gaining even more ground with people. 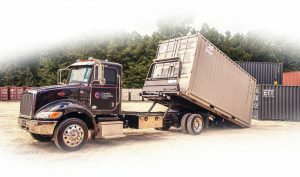 The advantages of using cargo containers from Raleigh are well worth every penny. 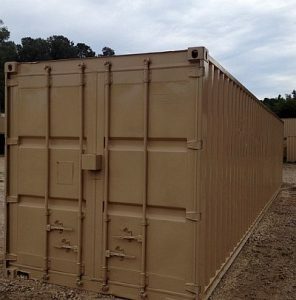 You will find our cargo containers to be safe, durable, cost-effective, and even weatherproof. One of the most common uses of shipping containers is converting them into storage space. When you think about conventional storage facilities, they are quite expensive to physical maintain and are usually not conveniently close. Buying a cargo container is like making an investment that can pay off any way you want it to in the future, not to mention you can use it as soon as you get it! Cargo containers are also very durable thus they are ideal options for storing personal items outdoors particularly during the harsh upcoming winter weather. These storage containers have been designed and built to withstand all manner of external forces. Strong impacts and harsh weather will have little to no effect on your container. Cargo containers in Raleigh are made using weathering steel that is very high strength, with a finish that will keep out the elements and corrosion. You can truly trust the waterproofing abilities of a container, your things WILL be dry if you store them in your container. Water can cause grave damage to so many things, don’t give it the chance! Our containers are extremely secure. They have a lot of structural integrity, just looking around one will assure you of that. If you choose to buy more than one storage container, you can easily stack them on top of one another! They’re made to be stacked tall when they sit in shipyards or even on their over sea journeys. This allows you to truly maximize your storage space. You can add ladders or whatever you want to make it easier for you to access. If you no longer have any good use for your cargo container, you can probably look to re-sell it for a decent price! You could also look to rent it out to anyone who needs temporary storage. You can also quite easily relocate your container wherever it is most convenient for you! Just one more great feature of shipping containers is how easy they are to transport, you can load them up on the back of a truck and take them where you want them! We are waiting to take your calls and help you begin celebrating the holidays as early as we can! For more information on using a shipping container for any of your purposes, contact Carolina Containers at 919-562-9187. Shipping Containers For YOUR Business? Storage containers are extremely secure. First, they are made from steel which is pretty strong by itself. Secondly, legitimate manufacturers of storage containers install locking mechanisms that ensure that your goods are well secured. Furthermore, you can have a custom modified storage container to satisfy your peace of mind in case you feel insecure about security. You can essentially turn your container into a safe if you have that many goods to secure. You can count on your belongings being safe year-round. Read more Raleigh Storage Containers!